Are you loving all the outdoor posts lately? All this nice weather is giving me some seriously motivation to sprucing up our backyard. 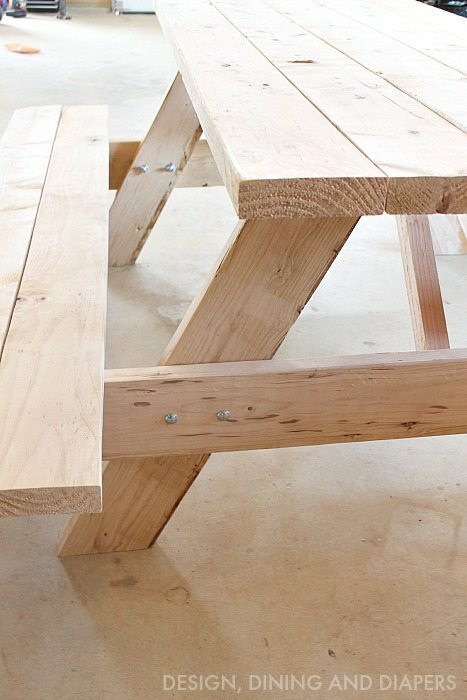 Today, I’m sharing how I put together this DIY Picnic Table Kit for around $130! When we moved in our backyard was half dirt left over from the new build and the rest was just field grass. We’ve been busy bringing in new soil and seeding and we finally have nice grass that we can enjoy. Woo hoo! But now the big question looms… what next? I have ‘big’ plans, as in 10 year plans, but for now I just want a nice place to hang out with the kids and socialize with friends. Since we aren’t sure how things are going to pan out in the long term, I didn’t want to invest a lot of money in a nice patio table and chairs so I went on a mission to find an affordable solution that still matched my style. 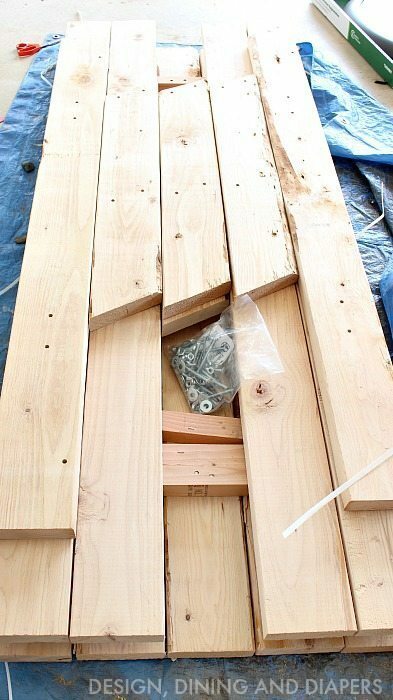 In my search, I discovered that both Lowes and Home Depot carry pre-drilled picnic table kits for $100. WOW! 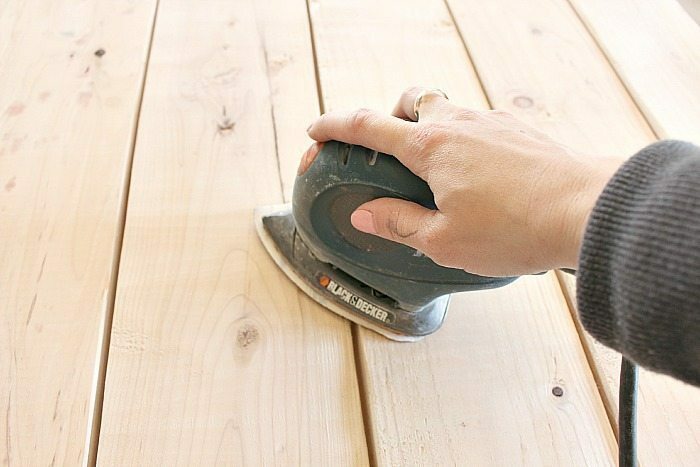 I purchased mine at Home Depot, so I can only speak to my experience with this particular table. But here is how simple it was to put together. Seriously anyone can do it! Here is what the kit looks like when I first opened it. I’ll admit, I was a little nervous about the quality and how well it would hold up but I have been really impressed with the end product. So worth it. The table top and the benches were already assembled and the rest was pre-drilled. It took my dad and I about 45 minutes to put the whole thing together. It was honestly so easy! Once it was assembled, I wanted to give it a custom look that matched our house so I gave it a quick sand down and then a coat of stain. 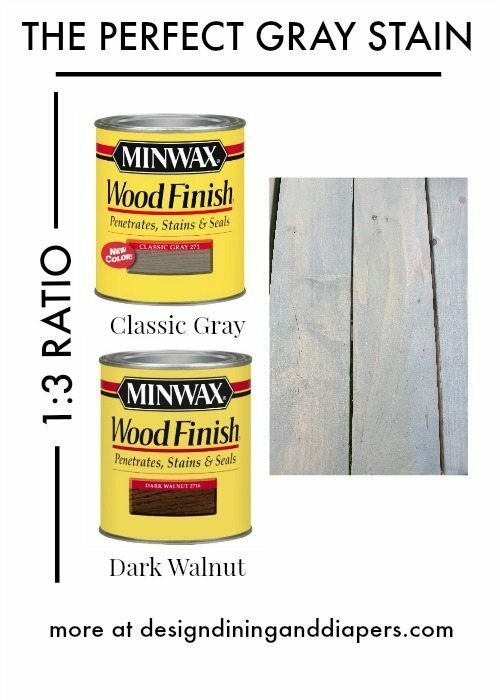 For the stain, I did a 3:1 mixture of Minwax Classic Gray and Minwax Dark Walnut. The gray by itself gave off a little bit of a blue tint that I didn’t care for, so I played around with the ratio and finally found the perfect warm gray. I LOVE it. And I just might be using this a lot more in our home. I love how our table turned out. We have already used it a ton. I’m so glad I took the risk. 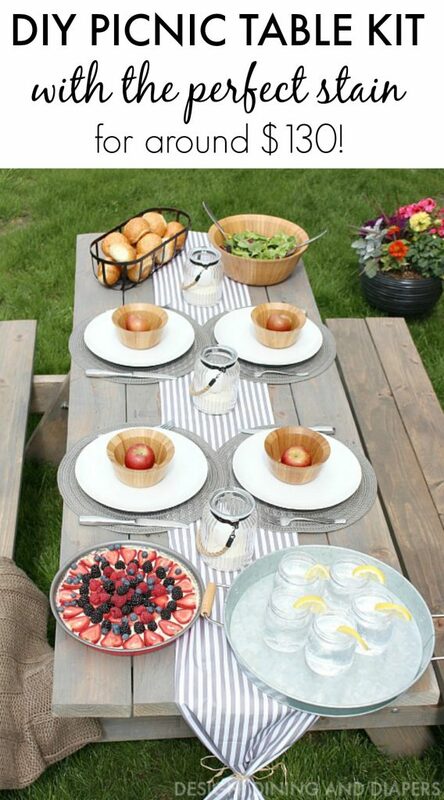 You can see more of summer tablescape here. We have been talking about these since last summer – I think this year we will be making it happen. Love!!! 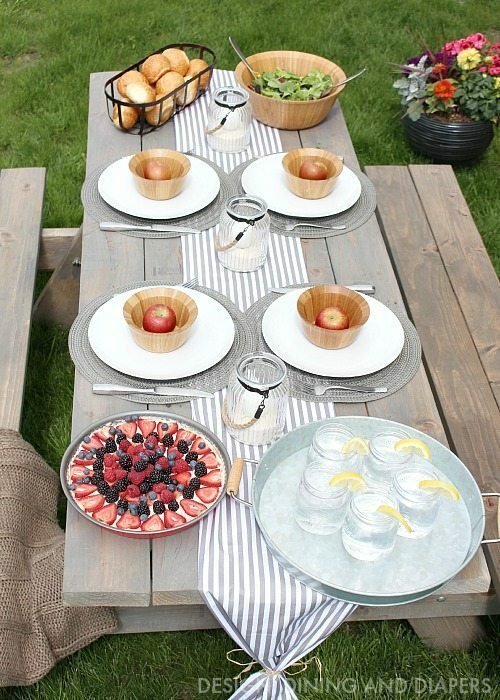 I had no idea they sold picnic table kits, that;’s awesome! And I love the weathered look you gave it, it’s perfect!